We batted first on a good track. Passage set very good fields and bowled well to them. Our boys grew frustrated and played too many rash shots to be all out for 185. 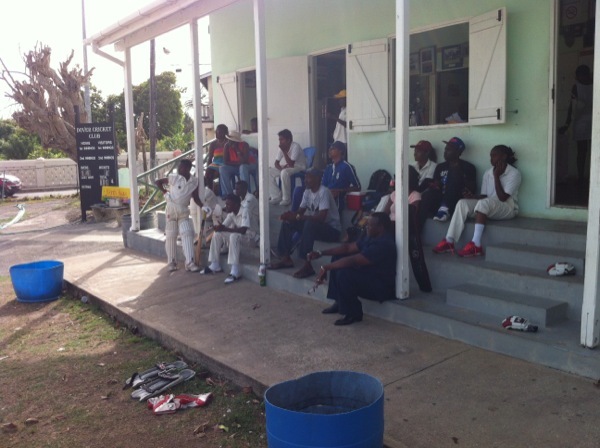 Our Barbadian player Odin was a most welcome member of our team. In reply, Passage began very well, with Shaq who scored quite freely in posting a half century. Our boys toiled hard to have them 8 wickets down when they passed our score. We live to fight another day. Highlights:1) Two females representing Passage-Hayley who bowls off spin and Shaq who is also an off spinner and bat. She is also a member of the West Indian women's cricket team. 2) Legend West Indian cricketer Big Bird Joel Garner popped in for 10 minutes to say G'dad!